Manager needs to prepare an overview report of the functioning of the project to present it in front of the investors who would finance for the operation of the organization. 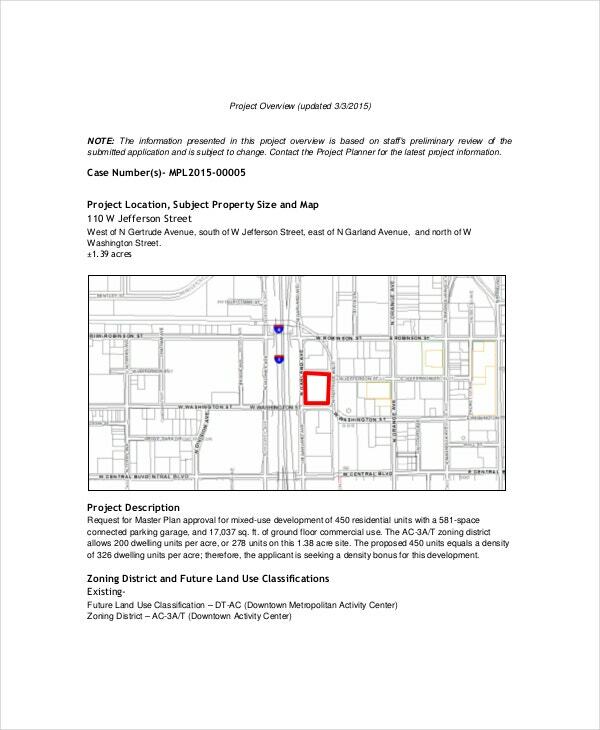 Project status template provides a pre built structure which assists you in preparing an overview report of any kind of organization- big or small, simple or complex. The template describes the entire project precisely in technical as well as non technical terms. You can also use the template to discuss schedules, status, budget etc. 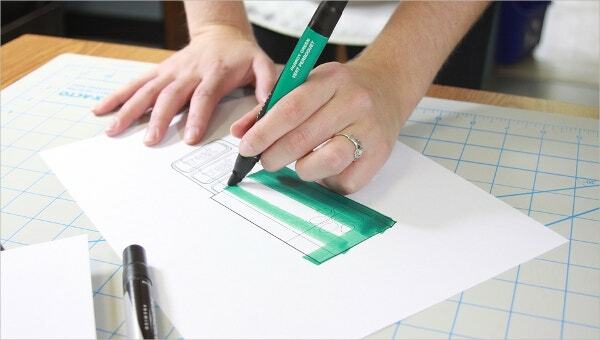 There are sample examples of templates available in plenty of formats like PSD, PDF, MS Word and many more. 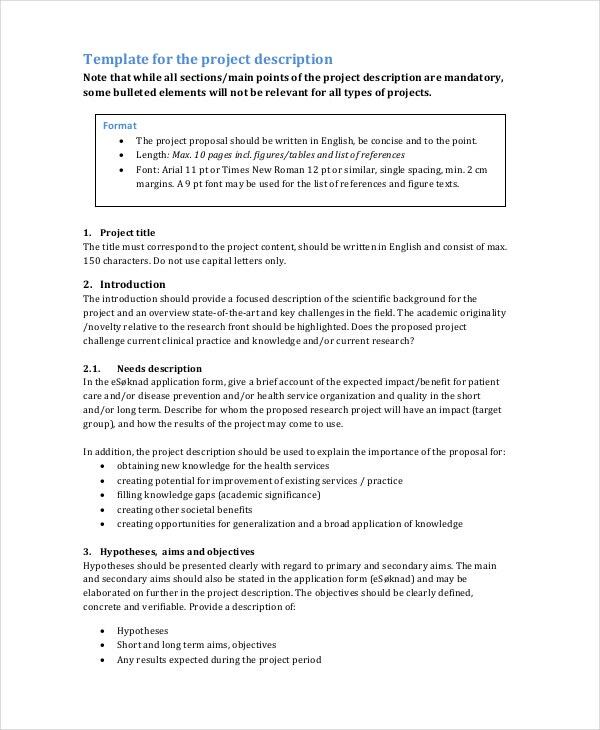 You can also see Project Template. The content of a project talks about what the project consists of. The content is not the main matter, but it is a framework of the body that is inside. This plays an important role in making a third person understand what the project is all about. When it comes to content overview, then our content overview template does a brilliant job. We bring in the best content overview templates that include the details of all the categories and sub categories the project contains. A project overview is one that takes care of the entire project. The entire project surely contains of information that are quite detailed descriptions. A client shall certainly not read the entire project when you present it to him for the first time, hence project overviews are made in order to keep things crisp and clear for the client. When it comes to topics as such then the clients usually see how much of the project has been completed and how much of it remains untouched. Hence the overview of the project gives an estimate of the work done as well as helps in giving a summary or a brief about the project list template. > How do I Make my Own Project Overview Template? Even if it is not going too much in to detail it must not miss out any topic or category. You can make an overview about how the project has been progressing. The overview must include the objectives and aim of the project to a certain extent. The overview other than the body can contain over view of the work distribution finance and much more. At first to create your project overview make sure you write down the schedule, the estimated finance, the time period taken to complete the tasks accomplished the budget and the name of your project most effectively. You can then proceed with bullet marks in your word document, or you can make a list in the pre- defined column of your excel sheet. 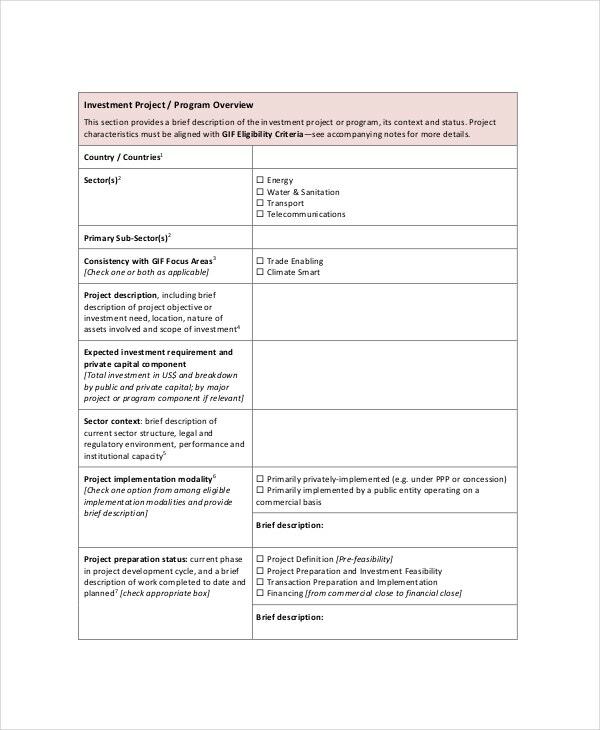 The format can be printed and downloaded from our online site.You can also see Project Financial Template. 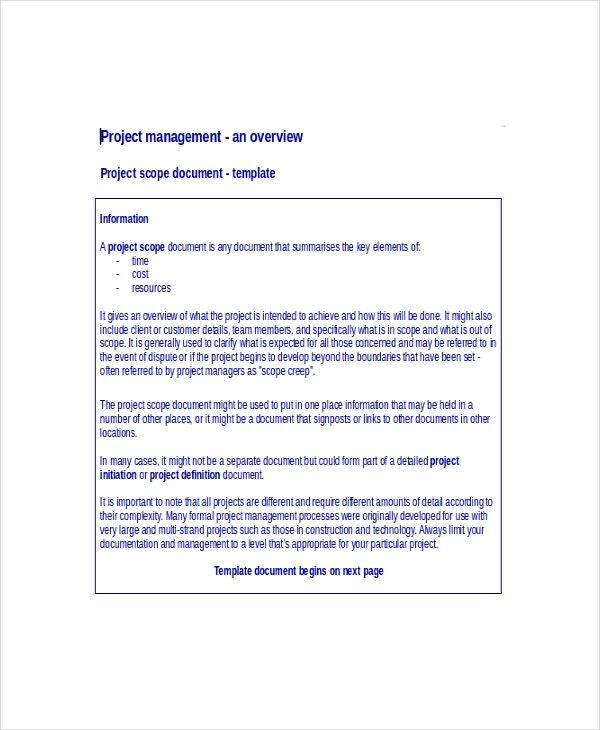 > What is the Main Purpose of Using Project Overview Templates? 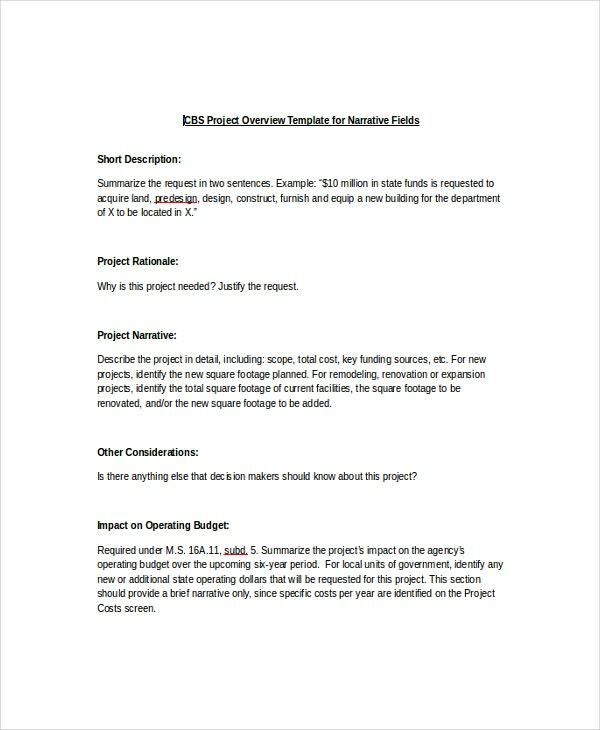 The main purpose of using project overview templates is to give your client a perfect idea of what your project is about, at what speed is the project progressing and what are the needs and wants of the project to proceed any further. 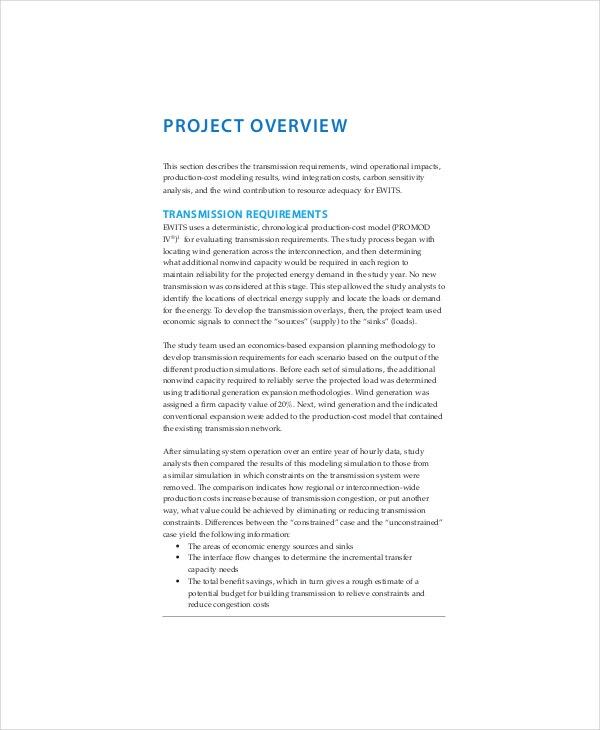 The overview can include the previous project with similar objectives; this will help the client in getting a better idea of how much sales can be generated through this project roadmap template and all the other upcoming projects. the project overview success have gained a lot of recognition due to the regular updates of the templates. The professional designs have proven to be the most common types of templates used. 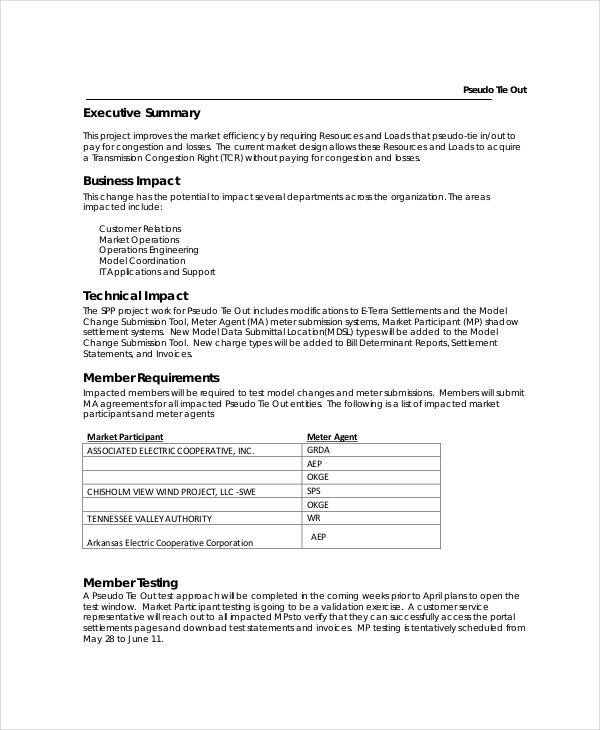 The templates are user friendly and can be used by any agency and organization. It can also be used by rookies and college students. The flexibility of the template holds up its value and worth among users and hence what are you waiting for? 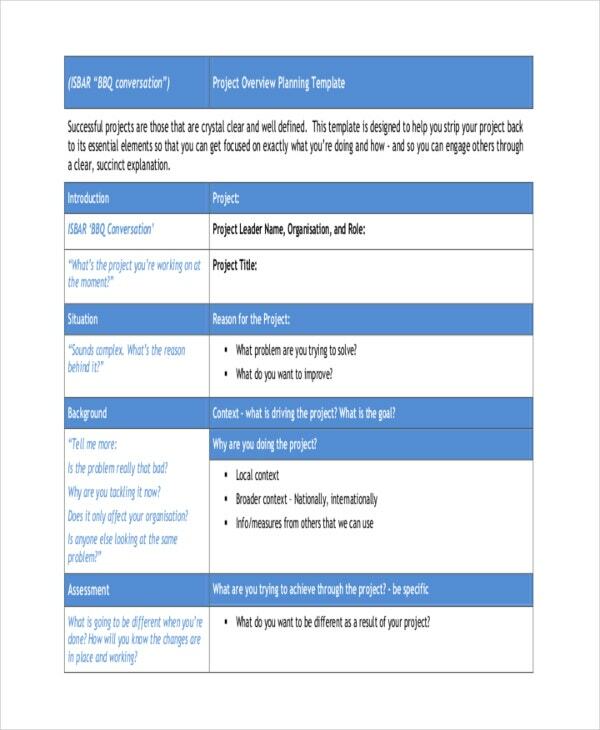 Try out our project overview templates and get your work done in a blink!